"In the distant future, they may outlaw driven cars because they’re too dangerous"
The statement comes at a time when Tesla Motors is seeing growth in the automotive industry, and when tech company Google has made gains in developing it's self-driving cars. Apple also recently announced it's entry into the automotive business. But more so, NVIDIA is a video and graphics company, and it's more likely that Musk made the comment knowing that NVIDIA will be at the forefront of image processing, something self-driving cars will presumbably rely heavily upon. "It's too dangerous," Musk went on to say. "You can't have a person driving a two-ton death machine." 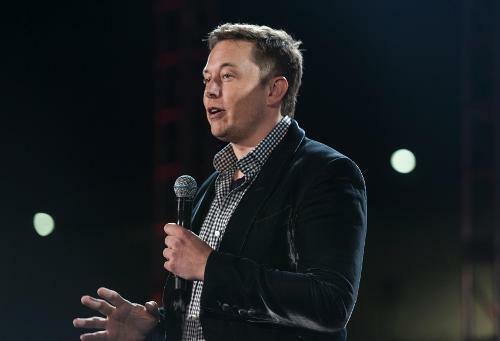 Musk has also been vocal on the need to create more government oversight in managing Artificial Intelligence. "I’m increasingly inclined to think that there should be some regulatory oversight, maybe at the national and international level, just to make sure that we don’t do something very foolish", he said last October at the MIT Aeronautics and Astronautics Department’s Centennial Symposium. "With artificial intelligence we're summoning the demon." Tesla Motors is already working on technology that will automate certain functions, such as adjusting speed, slowing down, and keeping a vehicle within a lane. Musk goes on to say that his company is currently developing technology that will achieve 90% driving automation. Therefore, it seems understandable why Musk would want to predict outlawing human-driven cars. But the sad thing is that he's probably on target with his prediction. More Americans today have expressed support for increased government involvement with every facet of daily living. Government-controlled heathcare plans, increased regulations on gun ownership, and recently increased regulation of the Internet, are examples of Americans preferring to let the government take charge. It seems plausible Americans will support some kind of government-controlled traffic computer that manages automated cars. Where will that leave motorcycles? Perhaps in the future, riding (and driving) for recreational purposes will be limited to commercial tracks where people can pay a fee to drive manually. Riders today already have "track days" where they take their taped-down bikes to race tracks for thrills. There are currently a lot of Americans who are anti-motorcycle. So it makes sense they'll support laws that make manual-driving illegal. Most likely however, automated cars will thrive in urban areas, which are places that motorcyclists tend to shy away from. Back roads, state highways, and county roads will likely remain exceptions to illegal-manual driving.